Gustave Tassell was born in 1926, in Philadelphia, Pennsylvania, USA. He studied painting at the Philadelphia Academy of Fine Arts. Moving to New York, he worked in the advertising and display department for Hattie Carnegie, who was well known in the fashion design world for both custom-made and ready-to-wear clothes. 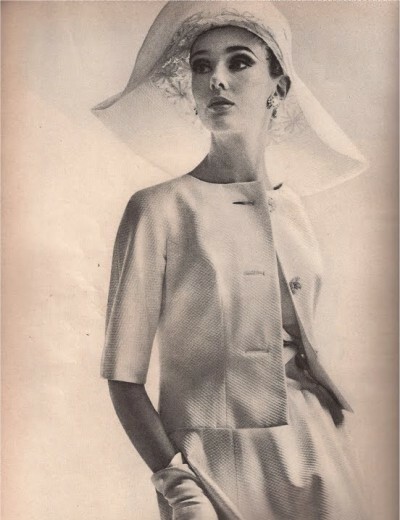 Seeing the design work of Norman Norell inspired Tassell’s decision to create clothes for women. 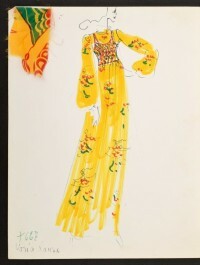 In the early 1950s Tassell moved to Europe where he did fashion sketches for Geneviéve Fath and became acquainted with American designer James Galanos. It was through the encouragement of Galanos that Tassell eventually began his own business in 1956 in California, though the designs Tassell produced were closer in concept to those of Norell than Galanos. He was awarded the prestigious Coty Award for American designers in 1961. He also won the International Silk Association Award and the National Cotton Council Award. Jacqueline Kennedy, wife of the US President, ordered several of Gustave Tassell's dresses for her visit to India and Pakistan in 1962. In 1972, when Norman Norell died, Tassell was asked to come to New York to maintain the line. He did this under the name House of Norell, Gustave Tassell. The Norman Norell line was permanently closed in 1976 and Tassell returned to California where he again turned out his sophisticated designs for a small group of customers. From the late 1970's he has been designing under his own name from his salon in California. He makes seemingly simple styles but with subtly intricate cuts in fabrics that achieve shape by insinuation. He clothes attract a younger segment of affluent women. In 2001, the Metropolitan Museum's Costume Institute in New York exhibited Jacqueline Kennedy's dresses and several of Tassell's dresses were included. Tassell is still remembered and his dresses admired. In May 2003 the California Woodbury University presented him with their Woodbury Design Award for 2003, for his lifetime of elegant creations. Tassell had a New York showroom, but the base of his operation was in Los Angeles. There he maintained a small organization and workroom which insured top notch quality at relatively low cost. 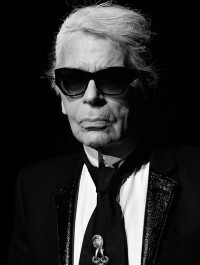 He did not produce the extremes of fashion. Tassell's design sensibility changed little from the 20 to the 21st century—he sought to create forward-looking fashion appropriate for elegant, confident women. He envisioned designs in natural fibers able to serve many purposes, with changing silhouette according to how the garment was buttoned, seamed, or tucked. Tassell aimed to produce affordable clothing with a sense of proportion, grace, and design. White gloves and pearls were the accessories one needs to wear with the refined, graceful designs of American Gustave Tassell. He designed for women who had a built-in serenity and who were not out to shock. His designs went beyond fringe and ruffle and were noted for their sense of proportion, simplicity of line, and refined detail. Through the use of seams, tucks, and gathers, Tassell was able to create sculptural forms which skimmed over the body, rather than a tight fit. The look was graceful and feminine. Skirts could be bell shaped, or gathered gently. The seams of a princess-style dress curved to suggest the bust and waistline. He designed clothes for both evening and daytime wear—separates, dresses, and coats. He designed versions of the black dinner dress, the shirtwaist, culottes, and the reefer coat. His interpretation was always graceful and feminine.